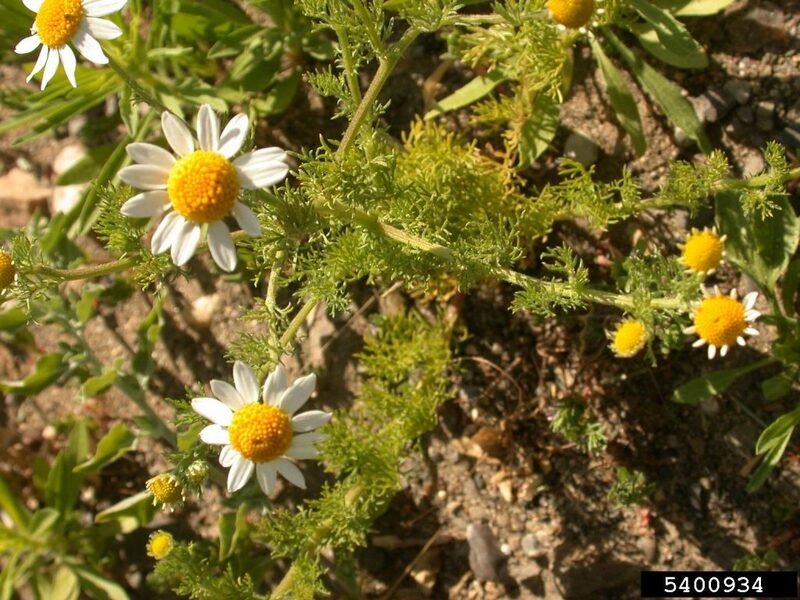 Anthemis cotula (stinking camomile). Charles T. Bryson, USDA Agricultural Research Service, Bugwood.org (Accessed 8/2017). Anthemis cotula is an annual, ill-scented, taprooted herb, 10-90 cm tall. 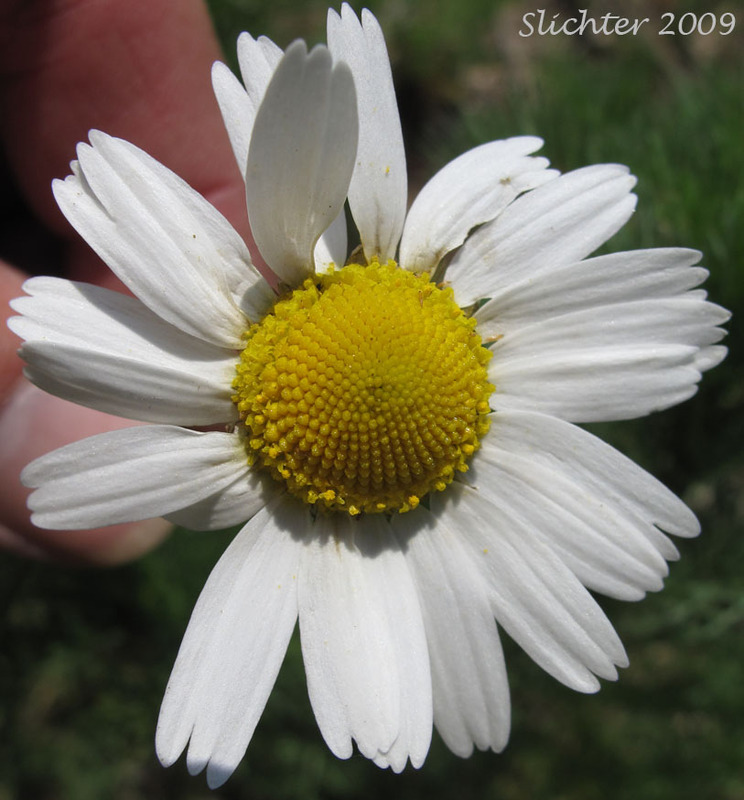 Anthemis cotula (stinking chamomile). Mary Ellen (Mel) Harte. Bugwood.org (Accessed 8/2017). Leaves alternate, 2-3 times pinnately divided, about 4 cm long, finely divided, segments narrow. 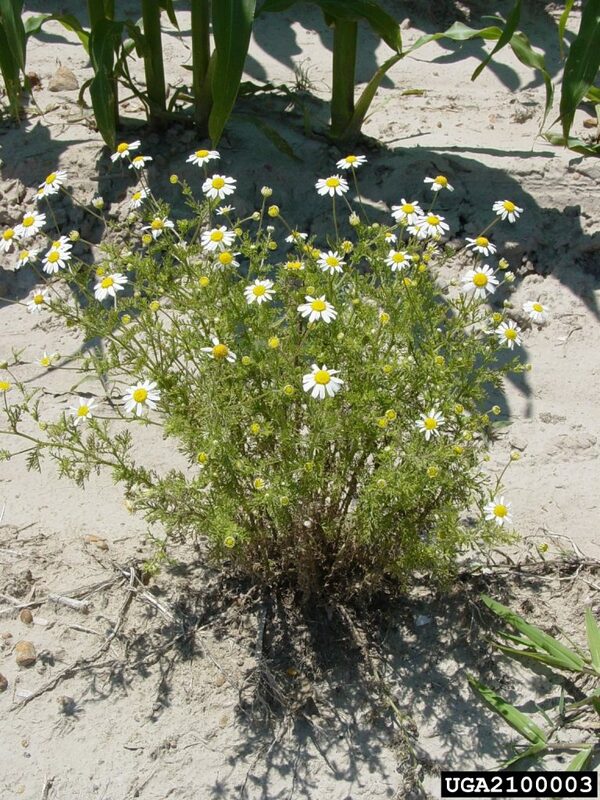 Flower heads daisy-like, with 10-16 white ray flowers, sterile, 0.5-1 cm long; disk yellow, 0.5-1 cm wide, becoming raised at maturity, flowers numerous, bracts of head somewhat hairy. Anthemis cotula (stinking chamomile) flower head close-up. Slichter 2009. science.halleyhosting.com (Accessed 8/2017). Fruit dry 1-seeded (achenes) warty. 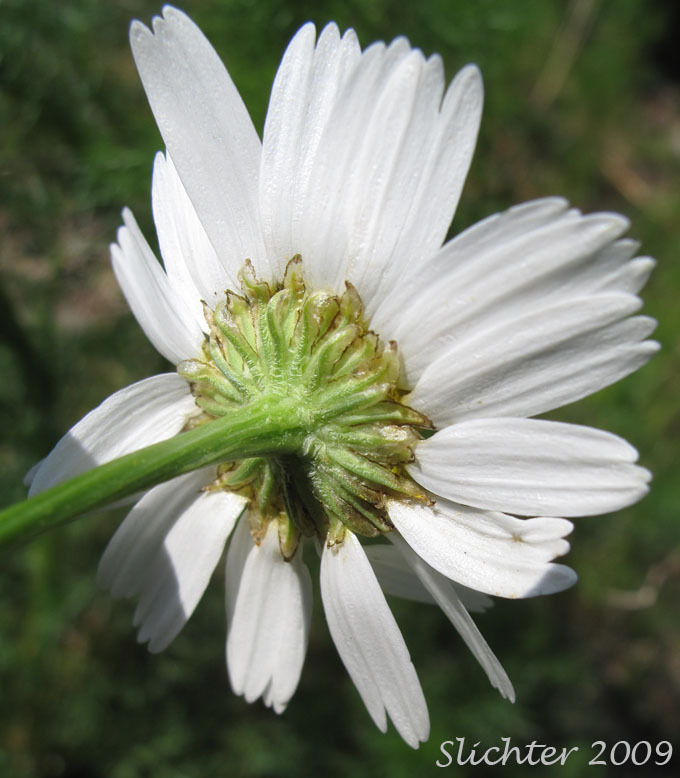 Anthemis cotula (stinking chamomile) back of flower head showing involucral bracts. Slichter 2009. science.halleyhosting.com (Accessed 8/2017). Habitat: Open disturbed areas, roadsides, fill.